"I miss Aunt Sis already. I will always remember her..."
"My dearest Aunty, I shall miss your laughter, your gracious..."
"Please accept our condolence for your loss. From the..."
"Hello-- I have lived here at Madrona Lane for more than..."
Guinivere T.E. Merritt, a long-time resident of Vancouver, WA, died peacefully at her home on Sun., July 24, 2016, at the age of 97. In the last years of her life, she slowed down a bit, but she still enjoyed visits from her family and friends. She was born on July 10, 1919 in Oregon City, OR to Taylor and Marie West. At the age of 19, Guinivere married Everett L. Merritt. Together, they founded Merritt Equipment Company in 1951, focused on manufacturing high quality transportation equipment. Guinivere was instrumental in helping to grow the company from a small automotive and welding shop into an industry leader. 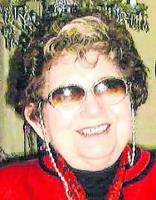 She was an avid traveler and spent many years active with the American Business Women's Association (ABWA). Guinivere is survived by her son, Everett T. (Sharon) Merritt; four grandchildren; and five great-grandchildren. She was preceded in death by her former husband, Everett L. Merritt; and her son, C. Lee Merritt. Services will be held at 10a.m. this Sat., July 30th, at First Church of God, 3300 N.E. 78th St., Vancouver, WA. She had made arrangements to be laid to rest beside Everett L. and C. Lee Merritt at the Finley Sunset Hills Mortuary in Portland, OR, which will take place at a later time.